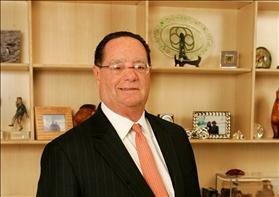 Stanley P. Gold is President and Chief Executive Officer of Shamrock Holdings, Inc., a privately owned Burbank, California-based investment company which sponsors and operates 5 separate investment funds (two private equity funds; two real estate funds and an activist/governance fund in public securities). Shamrock Holdings, Inc. is a diversified investment company wholly owned by the Roy E. Disney Family. Shamrock through its wholly-owned affiliate, Shamrock Capital Advisors, Inc., manages in excess of $2 billion in five investment funds for institutional investors, as well as high net worth families. Prior to joining the Shamrock companies, Mr. Gold was a managing partner of Gang, Tyre, Ramer & Brown, Inc., a prominent Los Angeles law firm he joined in 1968. For a number of years, he specialized in corporate acquisitions, re-structurings, sales and financing. During his business career he served as President of Shamrock Broadcasting, Inc., President and then Chairman of Central Soya Company, Inc., Chairman of Enterra Corporation (NYSE/EN) and Chairman of Koor Industries Ltd. (NYSE/KOR), Chairman of Tadiran Communications, director of The Walt Disney Company (NYSE/DIS), Ansell, Ltd (ANN/ASX) and is currently a Director of iPass Inc (NASDAQ/iPAS). During Mr. Gold’s professional career as both a lawyer and investor, he has, on many occasions, been involved in restructuring boards and companies. He has lectured at Law Schools and Business Schools on the topic of corporate governance, corporate ethics and restructuring. He has had experience in shedding divisions and focusing management on its core competencies. Many of the companies he has been involved with have gone through this restructuring process and gone on to significant profitability and greater growth. During Mr. Gold’s career he has been involved in various business and civic enterprises in Israel. For the past 20 years, the Shamrock Group has been active in Israel, investing approximately $350 million of equity in Israeli companies, primarily in private equity type investment, including direct equity investments, purchases of significant positions in publicly traded companies, privatizations and spin-offs, making Shamrock one of Israel's leading foreign investors. Its most significant investments include Koor Industries Ltd., Tadiran Communications Ltd, and Pelephone Ltd . In 2004 Shamrock Holdings Inc. initiated and established an investment fund fully dedicated to investment in Israel and Israel related enterprises – Shamrock Israel Growth Fund. Currently the Shamrock Israel Growth Fund has 11 portfolio companies in Israel. The Shamrock Group and Mr. Gold have been involved in numerous non-profit activities in Israel, in particular in the fields of education and welfare. A native of Los Angeles, California, Mr. Gold first studied at the University of California at Berkeley and subsequently graduated from the University of California at Los Angeles with an A.B. degree in Political Science. After receiving his J.D. degree from the Gould School of Law at the University of Southern California in 1967, he then attended Cambridge University in England for postgraduate work. Mr. Gold's professional and civic affiliations include memberships on the Board of Governors of the Hebrew Union College-Jewish Institute of Religion (Chairman of the Board of Governors from 1991 to 1996). Mr. Gold is the past Chairman of the Board of Trustees of the University of Southern California; current Chairman of the Board of the Jewish Federation of Greater Los Angeles; board member of the USC Law Center Board of Councilors; and the USC Keck School of Medicine Board of Overseers. He and his wife, the former Ilene Carol Glasberg, live in Beverly Hills, California. They have two adult children, Charles and Jennifer. University of Southern California – Member of the Board of Trustees from February 1993 to 2002. Appointed Chairman of the Board August 2002 to 2008. Gang, Tyre, Ramer & Brown, Inc. – Became a Partner of the firm 1971. Resigned October 1985.